My ADHD Family Circus: You Mean There's an App for That?! “The Family Circus” comic strip, circa 1987. Decades passed, and I now had a family of my own. As I entered parenthood, I had in my mind this beautiful dream of Mom, Dad, two kids, and dog harmoniously working together to pull off our various acts: getting ready for school and work in the morning, library storytimes, family mealtimes, peaceful bath and bed routines, relaxing yet fun vacations, magical birthday parties, outings to local festivals. 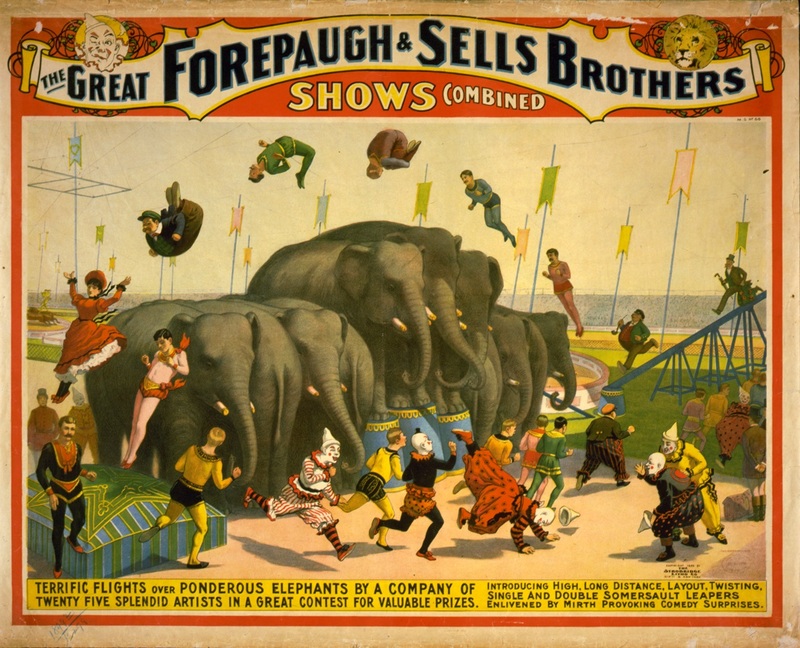 Yet, our reality looked a lot more like the chaotic, haphazard, messy world of “The Family Circus.” Like a circus whose ringmaster just walked out of the big tent in a huff, leaving a bunch of bedfuddled clowns, trapeze artists, tiger tamers, and all the rest to go on with the show. Every single morning was a mad rush, no matter how many behavior charts I tried or preparations we made the night before. Someone inevitably had at least one meltdown when we went virtually anywhere as a family (and it wasn’t always a child having the meltdown, either). Vacations were neither relaxing nor particularly fun, except for brief bursts of delight here and there. Like it or not, our family life involved a whole lot of yelling, crying, feeling hurt, blaming, spontaneity, and all-around disorder, with fits and spurts of deep love and laughter in between. And no amount of planning, organizing, parenting books, or anything else seemed capable of taming our circus. Attention-deficit/hyperactivity disorder is a brain disorder marked by an ongoing pattern of inattention and/or hyperactivity-impulsivity that interferes with functioning or development. Once we absorbed the initial shock of diagnosis and learned more about ADHD, including how to treat and manage this condition, I felt such relief. We aren’t bad parents. Our kids aren’t bad kids. We aren’t a messed-up family that’s beyond hope. We weren’t acting this way to be rude, lazy, obnoxious, disrespectful, undisciplined, etc. But unfortunately, these behaviors would “interfere with, or reduce the quality of, social, school, or work functioning” (per the Attention Deficit Disorder Association). No wonder my beautiful dream had turned into a bizarre hall of mirrors—a not-so-funhouse, if you will. When it comes to living in a house full of “ADHDers,” knowing is half the battle, to coin another 1980s pop culture reference. The other half of the battle? Well, unlike in “GI Joe,” managing ADHD as a family involves neither red nor blue lasers. It does require a great deal of education, communication, medication, a sense of humor, love and patience, and tools—lots and lots of tools. Those tools can come in many forms, from visual cues (placing an umbrella on top of your briefcase so you remember to take it to work on a rainy day) to optimized scheduling (booking a mentally taxing brainstorm meeting in the morning when your mind is sharp, and yoga class in the evening when it’s turning to mush). I admit, I am my family’s de facto ringmaster. But I don’t really want the job. I mean, sure, constant cajoling, coaxing, reminding, and nagging is fun and all(!) … but let’s be real. Given that we all share this brain disorder, I know we could use some extra help coordinating this whole family circus. Then, just a few weeks ago, I met Denise and Rich Schramm. Like me, they’ve struggled for years with how to manage ADHD effectively with their own kids. But unlike me, they actually came up with a solution—a task-focused, productivity tool for families with ADHD—and they’re building it right now! iGotThis is a mobile app designed to keep ADHD kids on track, focused, and motivated while parents get real-time visibility and control. Check out the video below to see how it works. Based on what Rich showed me of the demo version, I believe this app will be a godsend, not just for parents of ADHD kids, but for working moms of all kinds of kids. Think about it: We already do so much—who wouldn’t want a digital ringmaster to help pull off all the acts we’re juggling at work and home? Rich and Denise have poured so much into iGotThis already, and now they’re in the final push will turn their dream solution for ADHD families into a reality. Once beta testers help them work out the final bugs, iGotThis should arrive in your favorite mobile app store sometime this summer. In the meantime, visit the iGotThis website to learn more about this amazing ADHD app. Get notified of future updates via the iGotThis Facebook page or email list.